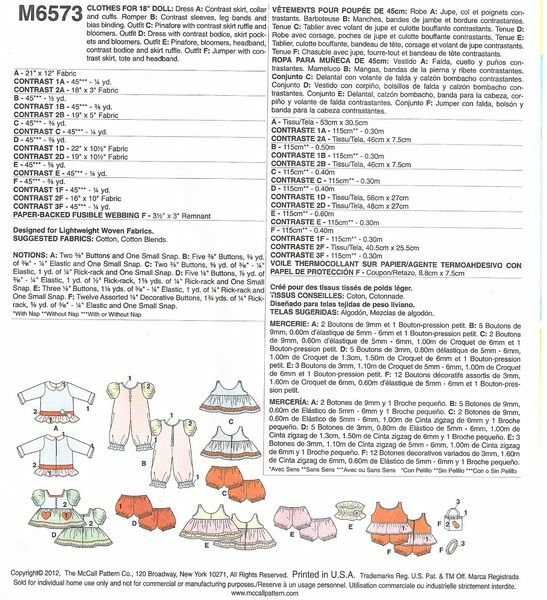 Pattern to make six outfits to fit 18" dolls. Long sleeve dress, romper, pinafore, dress with puff sleeves, bloomers and jumper. See additional image below. This is a new and uncut pattern. McCall's 6573, copyright 2012.